4C COACHING: MY mission is to CONNECT, CULTIVATE, CHALLENGE & CELEBRATE my team. We actively create a CONNECTion between athlete and coach to generate the best performance in training and races. We CULTIVATE optimism, growth and grace for every facet of your life. Together, we’ll face the CHALLENGE to be and do more than you ever thought you could and we’ll CELEBRATE the milestones you achieve and obstacles you overcome in sport and in life. 4G TRAINING: What is 4G? It's GUSTO + GUMPTION + GRUEL + GRACE. It's worked it's way into my coaching and training philosophy. Some days you need GUSTO: enjoyment or vigor in doing something; zest; or GUMPTION: spirited initiative, courage or common sense. You may have to face the GRUEL: an experience that's exhausting and punishing and give yourself GRACE: courteous goodwill, forgiveness and ease. It's likely that you'll face these in a race or in daily life. I design your plan around the 4G philosophy to help you succeed. 4P APPROACH: Personalization. Pace. Preparation. Potential. I'll meet you right where you are to help you get started on your next goal. My purpose as your coach is to help you make the next right step - and see you through every step of the way. We'll work together as a team to reach your potential. I look forward to getting to know you and understanding what drives you and can tailor your plan to fit your motivation. Whether you're interested in trying your first sprint or working on your next ironman; whether you're wanting a just-finish program or your first podium finish - we'll create a partnership to reach your athletic goals by training smart, having fun and being efficient with your time. Plus, one of my greatest strengths is preparation and planning and I want to pass that on to you. We will work diligently to have you mentally and physically ready for every event. I'll provide numerous tools to help you train smarter and I offer a structured, customized program to fit your specific needs. COMING SOON: A program designed specifically for coaches. A once-a-month video chat to plan, problem-solve and more. I have been a USA Triathlon Level I Certified coach since 2010. I am trained in exercise physiology, triathlon specific training techniques and periodization and planning. In the past seven years I’ve coached 20+ athletes on my personal roster to multiple sprint and international distance races, 10 iron-distance races and 15 half-iron distance races. Seven of those athletes were newcomers to long-course and ultra-distance triathlon. Since 2010, I’ve been a volunteer coach for the YDubTriClub and have coached 10-20 members on that team to sprint and international distance finishes. 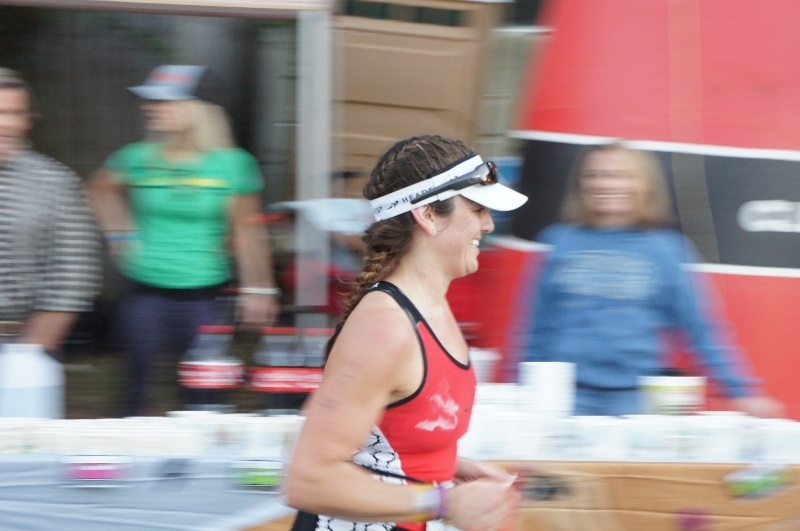 A life-long runner, I became a triathlete in 2008. Since then, I have competed in 50+ sprint, international, half-iron and iron distance triathlons. 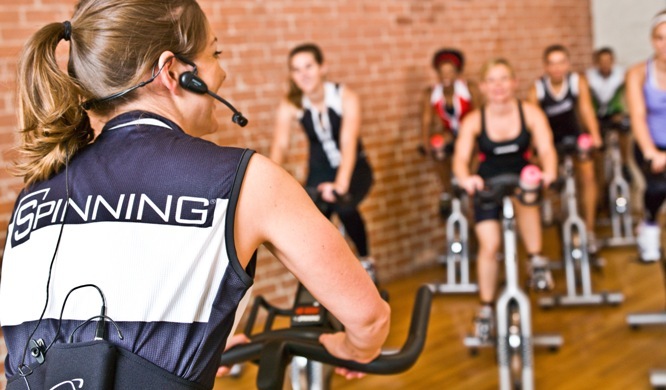 I am a certified SPINNING™ and Pilates instructor for New Hanover Regional Medical Center's employee fit center and a coach for the YWCA Triathlon Club. Our training and racing motto is 4G: Gusto, Gumption, Gruel and Grace. I integrate 4C into my coaching: CONNECT, CULTIVATE, CHALLENGE & CELEBRATE. I want to connect with each athlete. I want to cultivate optimism and growth and grace. I want to challenge you to be and do more than you ever thought you could! And, I want to celebrate you every step of the way. A Yearly or Key Event Plan: An annual training plan within 30 days of your start date. It will be based on your prime races and events and goals. That means all of your workouts will be loaded into your TP calendar and you will be able to see them all – from now until December 2019 (or until the end of your season). From the start you will be able to see the outline of your entire year. You’ll be able to see the training blocks. You'll know when to look forward to low weeks. You will be able to plan ahead for big weekends. It is a dynamic plan that is likely to change as you add events or travel or if you face injury or life stressors. However, you will be able to see the big picture for 2019. Monthly Progress Reports: Feedback that is subjective (based on your post activity comments and weekly wrap-up) and objective (based on your paces, power progression and skills). It will typically be an email, but will also be followed up with a phone call, text or video chat. Weekly Contact via the Coach's Circle and the Feedback Loop. The Coach’s Circle is a team newsletter that highlights current articles to read, celebrates athlete achievements and provides weekly tips and how-tos. The Feedback Loop is a combo of an athlete assessment and coach review of the week and includes post-workout commentary and data analyses. Access to team web meetings in January, March, May, July, September and November. These video chats will provide specific education or tips and tricks and time for Athlete Q&A. Let's book a one-on-one coaching consult for 2019! Need advice about your current training? Need some inside scoop on your next race? Need info on gear or simply want feedback on your next step? Consider a COACH ON DEMAND SESSION designed for ATHLETES & COACHES! We can meet by phone, for coffee to discuss general solutions or specific questions, technique or form issues or even mental race strategies. Ask questions about training, nutrition, racing, coaching, time management and more! Need advice about your current training? Need technique pointers for specific parts of swimbikerun? One-on-one personal coaching or small group personal consultation sessions incorporate video analysis, field testing, skills labs, functional strength and more! Whether it’s a one-off meeting or a weekly practice, you’ll receive the attention you need to generate your best performance. In triathlon, the buddy pass allows friends and family to collect your gear in transition while you're still out on the race course. It is an efficient and effective way to manage your time and your day. And it gives your race crew something fun to do while you're swimbikerunning. You can use a buddy pass in training, too! If you have a friend (or group of friends) training for the same race, I offer RACE SPECIFIC PLANS for you! This is great for beginners and advanced athletes who thrive when training with others. You'll receive the workouts you need to complete a sprint, international or half-iron distance, coach chats with your personal team and weekly triathlon tips. Want more info on how to get started? Send me your info and we'll touch base! My athletes range from beginners competing in their first 5K or sprint triathlon to regional age-group champions to multi-ironman finishers. My athletes seek me out because I am a well-rounded coach who understands what it’s like to work a full-time job while training to be the best they can. Plus, I combine tried-and-true basics and the latest fact-based innovations for training and racing. I strive to give individual attention to each athlete and will never write a cookie cutter plan. COLIN JONES - [January - April 2016] Boston Marathon 2015 finish of 3:10. 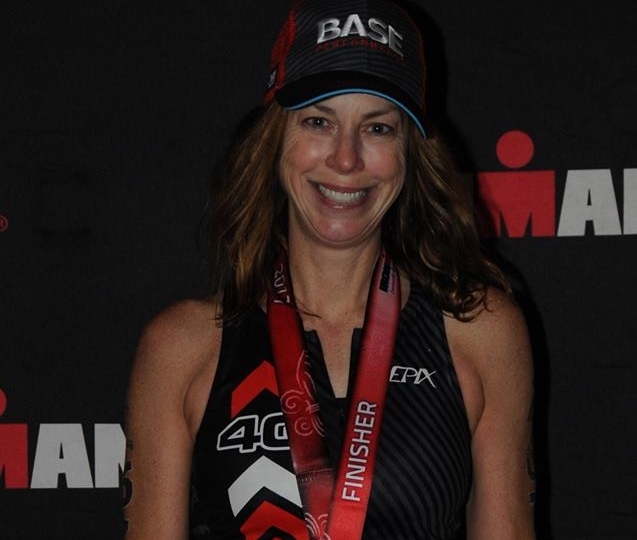 LEANNA SOROKA - first time IRONMAN finish in Louisville 2016.